deploying our resources to accomplish client objectives. Congress, captured considerable trade press coverage, coordinated a grassroots letter-writing campaign, and prepared countless supporting material. The effort worked: when Congress enacted the Energy Policy Act of 2005, these important consumer protections were included and the opposition was muted. intended to lay the groundwork for a future legislative campaign. We engineered a successful stealth strategy that succeeded in stripping this study from the legislation at the last moment – catching the advocates of the provision completely unprepared. 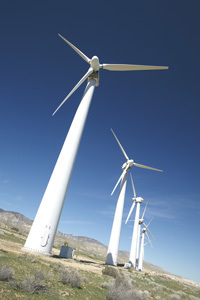 With active discussions in the Pacific Northwest over possible formation of a Regional Transmission Organization, one potential consequence was that the long-term physical transmission rights of the customers of the federal Bonneville Power Administration could be converted into complex and risky financial rights. Working with key Members of Congress, Kanner & Associates was able to include in the Energy Policy Act of 2005 a provision that preserves existing transmission rights in the Northwest and prevents their forced conversion into financial rights. In coordination with car manufacturers, environmental groups, state energy officials and others, we worked to secure adoption of a Senate provision granting partial credit for hybrid vehicles toward meeting the alternative-fueled vehicle fleet purchase requirement. When one of our clients sought to advance a separate transmission arrangement to avoid the costly and complicated decisions of the California Independent System Operator, their efforts came under a barrage of attacks and charges. Kanner & Associates worked with grassroots contacts, key congressional offices, and Administration officials to successfully counter these attacks and pave the way for implementation. Copyright © 2009 Kanner & Associates, LLC. All Rights Reserved.